Are made from solid brass with an antique finish? whimsical touch to your kitchen? 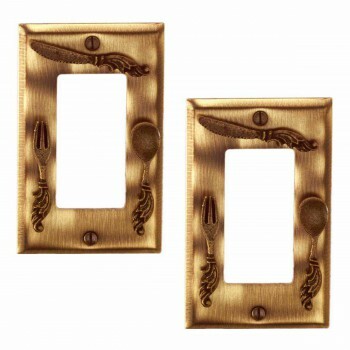 (2) pieces Switchplates: It only takes a minute to reinvigorate a room with these decorative wallplates.